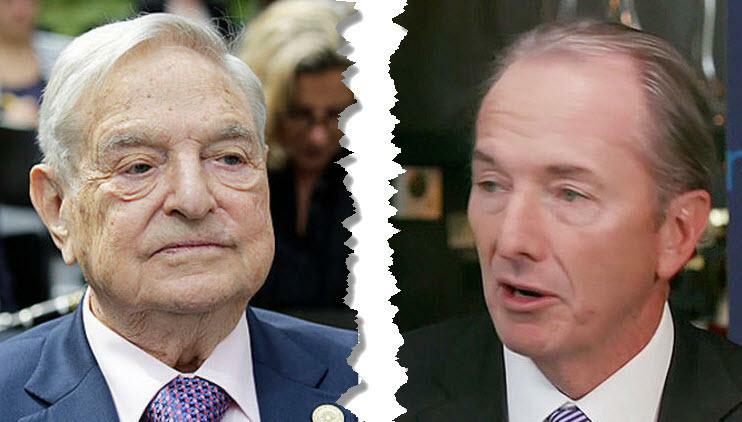 Morgan Stanley CEO Blasts "Ridiculous" George Soros: "The EU Is Not In Jeopardy"
Will Morgan Stenley CEO James (not Jim) Gorman become as infamous as Citi's Chuck "as long as the music is playing, you’ve got to get up and dance. We’re still dancing" Prince after his comments to Bloomberg TV overnight in Beijing. “Honestly I think that’s ridiculous... I don’t think we’re facing an existential threat at all." Investors should look through the bout of turmoil markets have been going through lately, Gorman confidently stated, adding that he expects interest rates to keep rising this year and three more rate-hikes from The Fed. Gorman said Italy’s challenges are part of a broader political pattern that has been seen across much of the world, including in Britain, which voted to leave the EU in 2016. “I think this is something which has been piling up over 10 or 15 years and there is essentially in many countries around the world a sense the average performance of the economy is much better than the individual performance of the citizens in their country. And that’s what’s given rise to the waves of populism. So - ignore it and keep buying stocks... oh and sell bonds! Benchmark 10-year U.S. yields are likely to keep climbing, taking the dollar up with them, in the Morgan Stanley chief’s view. 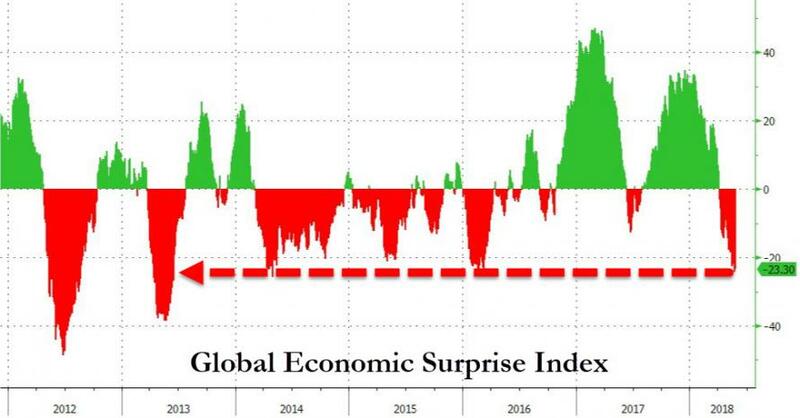 There's just one thing about that "global synchronized growth" - it's collapsing..